Denizens in the ocean depths may soon find prowling among their haunts a huge iron monster swimming with fishlike motions and bearing a close resemblance to themselves. 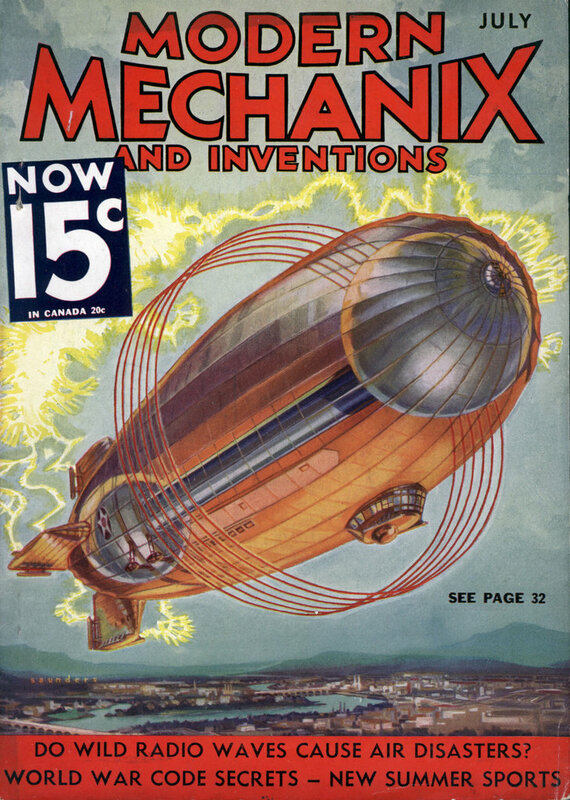 This strange monster is to be built from plans devised by Herr Schiff, a German engineer, who has already constructed a workable model for his astounding brainchild, which is shown in accompanying photos. The curious undersea craft is equipped with two fins and a tail which operate in the same manner as do these elements of a live fish. 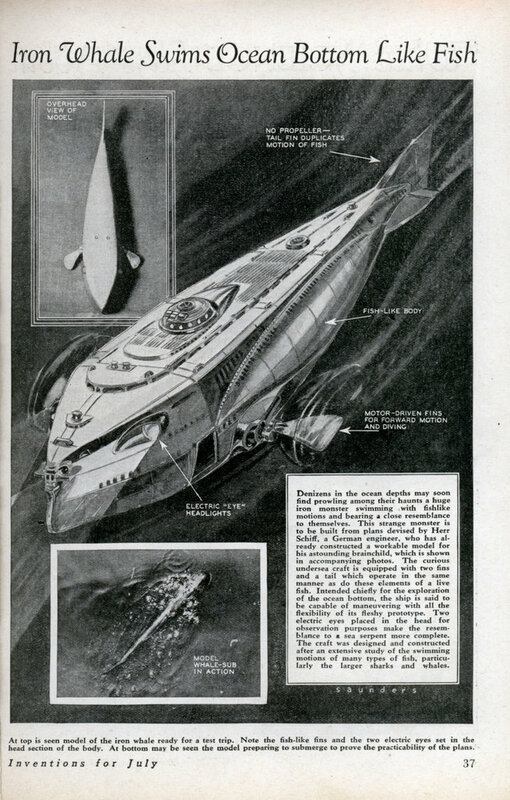 Intended chiefly for the exploration of the ocean bottom, the ship is said to be capable of maneuvering with all the flexibility of its fleshy prototype. Two electric eyes placed in the head for observation purposes make the resemblance to a sea serpent more complete. The craft was designed and constructed after an extensive study of the swimming motions of many types of fish, particularly the larger sharks and whales. Can you imagine how one of these massive things must look surfacing?